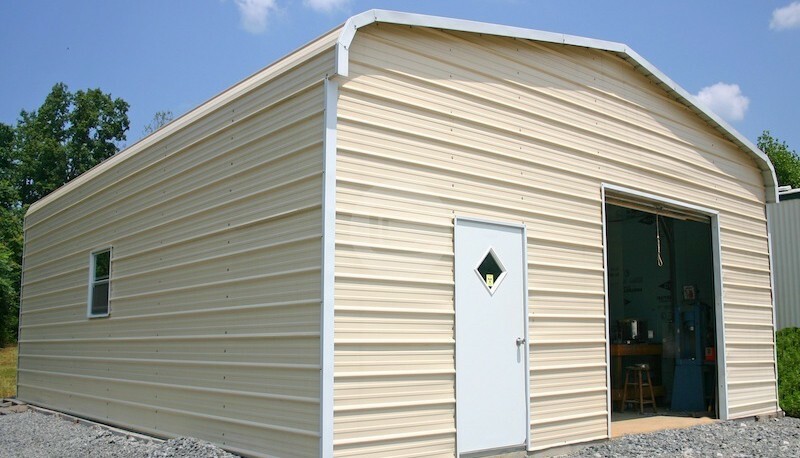 We are featuring a 24×40 Steel Car Garage to house your three cars and safeguard them from uncertain weather elements. 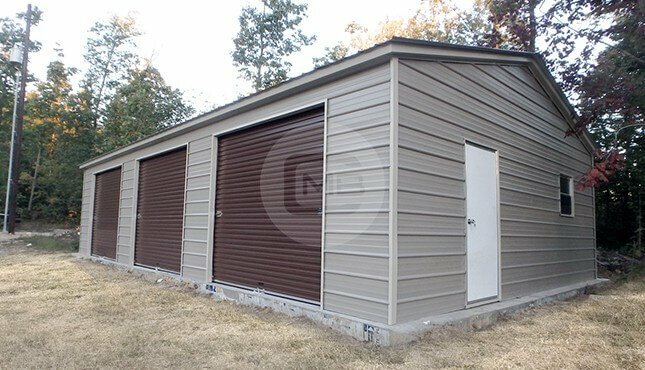 This 24’ wide 41’ long and 9’ tall Steel Car Garage has vertical roof style which is the most recommended type of roof, for garages. The top-down panels of vertical roof style don’t let the snow stay for a long time on the roof. As a result, it has lower possibilities of rotting. Please note – Frame is one foot shorter than actual length due to overhang. 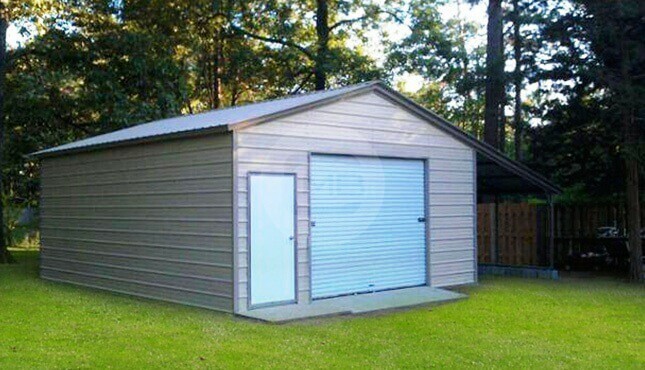 This 24×40 Steel Car Garage has 9’ outside clearance and approx. 12’ inside peak clearance. This installed garage has three roll-up garage doors on one of the side, one 36×80” walk-in door and one 30×30” window on end wall.